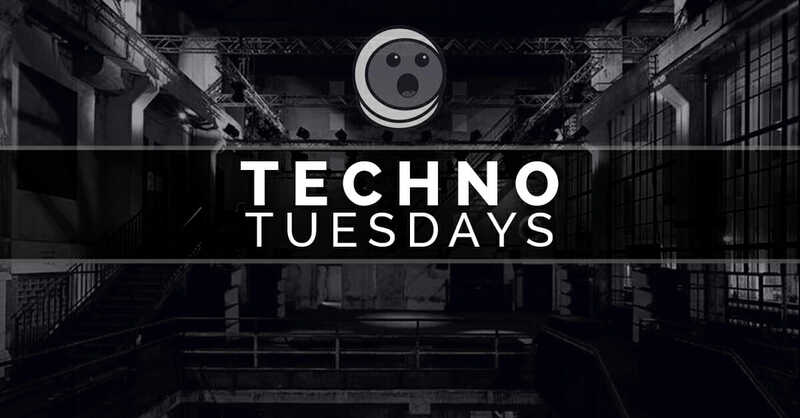 Techno Tuesday is a feature on Dancing Astronaut documenting the culture of underground dance music. We’ll bring you exclusive interviews, tracks, and narratives from artists within the techno, tech house, and deep house world in an effort to shed light on some of the best talent outside the world of mainstream dance music. UNER has proven one of Spain’s finest dance music exports. Since launching his artist project, the Catalonian producer has won the attention of labels such as Solomun’s Diynamic and Luciano’s Cadenza. With ongoing support from some of the world’s biggest tech house proponents, UNER continues to turn heads with his versatile productions. Now he’s taken the next step in his career by launching his own imprint, Solar Distance, which will see its first release on November 15 in the form of a 4-track EP from UNER. Earlier this year, UNER made his way to Burning Man for the first time, finding the sort of transformational experience for which Black Rock City is known. To commemorate the trip, UNER has created a video montage of his journey, as well as shared a personal narrative of his travels. It was the first time I went to this “festival” and I have to admit I was nervous as well as excited, I just didn’t know what was waiting for me. The thought of the long journey which we had ahead of us as we started out was exhausting in itself. We flew from Barcelona to Reno, with a layover in New York for about 7 hours which gave us some time to prepare a little more, catch up on everything we needed to before getting the second flight out to the desert. When we arrived, we waited for the driver we had arranged to take us to Black Rock City, but never actually found him to we had to spend the first night in Reno, but maybe this was a blessing in disguise, as we took the opportunity to get some rest after the long flight. The next morning they came to get us from the hotel and after some food shopping for our camp, we headed to the desert, however the driver fell asleep at the wheel of our car and we very nearly ended up never making it out of Reno, so we all decided that I was going to driver for the remainder of the journey – it was a fun way to start the adventure! After 4 hours, we arrived at Playa and what better reception for us – a massive sandstorm! This continued throughout the whole week, with about three storms per day which came through the camp. My first impression when we arrived was just astounding. I was speechless with the amazing sight of creative camps, colours, beautiful art, music from all corners of the world, emotions and people enjoying nature. I immediately knew I would find this place very inspiring. Our camp was called White Ocean, and once arrived we soon settled in and left our bags to go exploring. We spent almost every day on our bikes from one side to the other, meeting people along the way, getting lost in magical experiences with friends, listening to music and enjoying nature. I would say that Burning Man has been on of the most amazing experiences of my life. For the last few months my life has changed dramatically when my father died suddenly four months before we went to Burning Man. It made it all the more intense for me as I felt like I was closer to him than ever before. I vividly remember the time that I spent at the temple, when my life with him and the magical memories we had together were more present than ever in my thoughts, it was emotional for me, and I wrote a message a for him. I can say just for this moment alone, the trip was worth it. I also got to play that same night and all I can say is that it was truly magical. A set I will never ever forget. All the emotions which I had been feeling that day, and the happiness of all the people with me at the time was indescribable and I wanted to show that through the music I played. It was a sad day when it was time to leave Playa. The whole team at our camp were just amazing, and I felt like we were a little family just letting go of life and stress and learning to enjoy this crazy experience together. If you asked me to rate the experience I had, I would tell you that I already have my tickets for next year… I think that says enough! What better way to summarize the mental and physical journey that this trip provided me than to film some of my time spent on the desert. I hope you enjoy the film, and it encourages you to consider going next year if you have not yet had the oppourtunity. Burning Man has changed many things in my life, for the better.